Linux. Mechanical Keyboards. Sci-fi. Ancient History. What more is there to life? You know what would be awesome? If there was an integration with Google Translate on Mastadon so I could read everything on system. Sometimes I remember that I can type @[instance] into the search bar and see all the users from that instance known to my own instance in a tidy list, and that's pretty cool. The weird, decentralized nature of mastodon reminds me of oldschool internet socializing – IRC and newsgroups. It's a good feeling, somehow. If anyone is wondering, my new profile pic is of my sun soaked chihuahua. She&apos;s 8 years old and quite the character. The 'check engine' light on my car came on last night and the diagnostic is going to be $150, not to mention any repairs that need to be done. I'm a freelance writer/blogger on a fixed income. No one seems to want to pay writers much (if at all) these days, and I could really use your help. If you can, please help. If you can't, please boost/re-toot/reblog this. 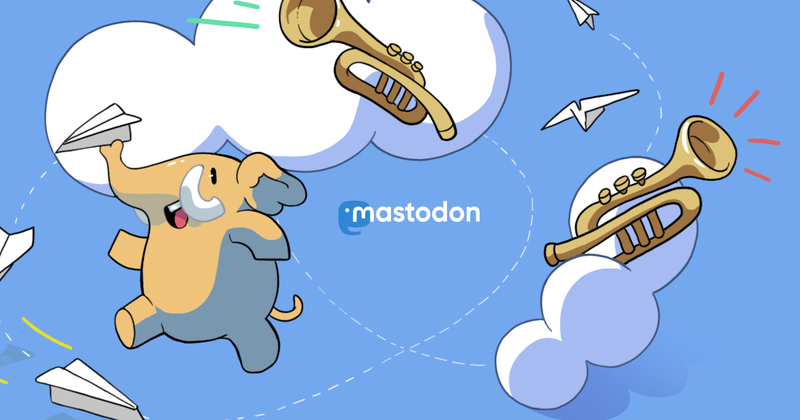 Mastodon is awesome, but mastodon isn't an appropriate tool if you want private communications. DMs aren't actually private, they can be seen by instance admins and maybe by other people, it isn't at all secure. Mastodon and GNU social aren't made for private conversations, if you want to have a private conversation there are many tools that are appropriate for that. The result of minutes of hard work. An adventure in micro torches and flame. It&apos;s ok for a test project and turned out surprisingly well. Soldering is honestly still pure magic to me. New benchmark for linux from the Unigine people (valley, heaven, etc). I&apos;ve been waiting for it even though my computer can only run medium. Give it a try if you like gaming on linux or even windows and want to stress your system with the latest stuff. Vulkan support for linux may be happening in the future. I had a dream that mastodon had a moments clone for some reason. Weird. Idk how it would have worked or why but it was interesting. I think I might&apos;ve been the only one that actually liked moments on the now doomed birdsite. a forbidden love, a cross-instance romance.. a scrappy, spirited young lad from .xyz determined to be with an heiress of .social royalty. their mods won't allow it. but they will do anything to be together.